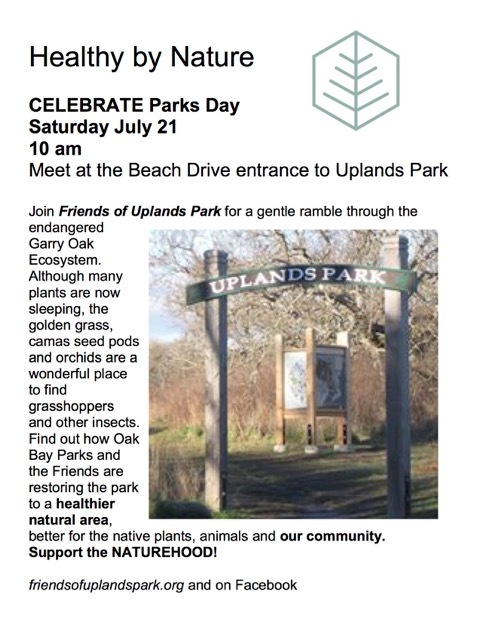 Join Friends of Uplands Parkfor a gentle ramble through the endangered Garry Oak Ecosystem. Although many plants are now sleeping, the golden grass, camas seed pods and orchids are a wonderful place to find grasshoppers and other insects. Find out how Oak Bay Parks and the Friends are restoring the park to a healthier natural area, better for the native plants, animals and our community. Support the NATUREHOOD! A low tide of 0.3m presents an amazing view of the diversity of low intertidal marine life. 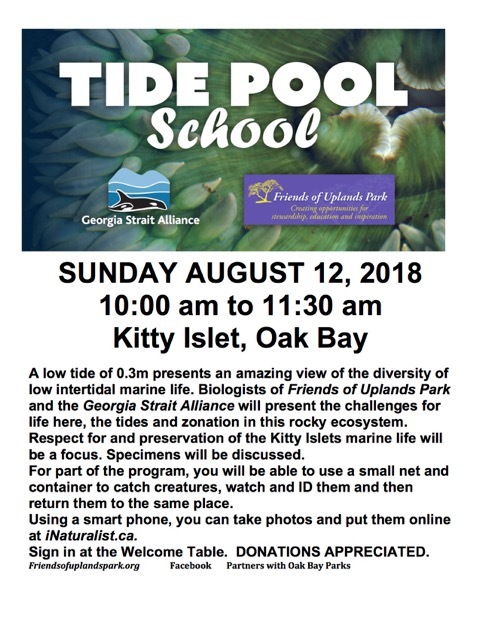 Biologists of Friends of Uplands Park and the Georgia Strait Alliance will present the challenges for life here, the tides and zonation in this rocky ecosystem. Respect for and preservation of the Kitty Islets marine life will be a focus. Specimens will be discussed. For part of the program, you will be able to use a small net and container to catch creatures, watch and ID them and then return them to the same place. Using a smart phone, you can take photos and put them online at iNaturalist.ca. Sign in at the Welcome Table. DONATIONS APPRECIATED. July 14-2018 Tide Pool School at Cattle Point a wonderful success. Photos attached. 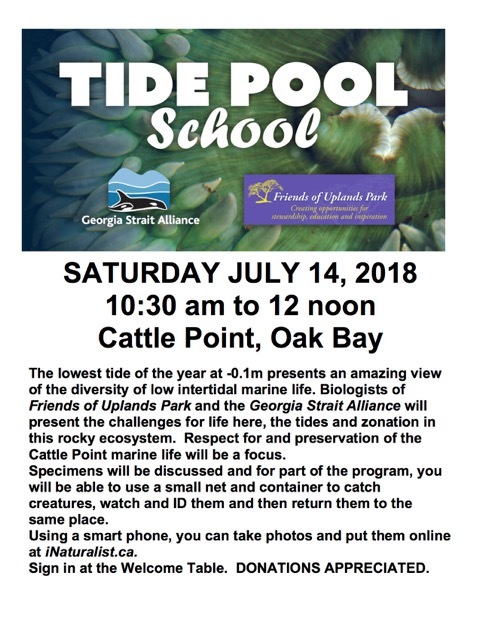 Margaret Lidkea, FOUP Chair, is pleased to report on the wonderful turnout for the July 14, 2018 Tide Pool School at Cattle Point.